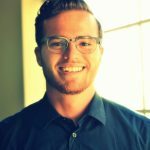 Coffee enthusiasts understand that brewing coffee is not just about mixing ground coffee and hot water. It is an art that takes time to perfect. You don’t need to be a barista, to make good coffee. You only need to have fresh coffee beans and the right equipment. From the aroma to the taste, to the texture, coffee drinkers and brewers are in agreement that the Baratza Sette 30 is one of the best coffee grinders in the market. It will completely change, revolutionize and revitalize your coffee drinking experience. This product is a perfect example of what class, sleekness, and ease of use actually mean. You will be thoroughly impressed by its features, the minute you see it. Making coffee for you will be taken to the next level and you shall never go back. Grinding your own coffee beans is all about control. You get to control the texture and the kind of coffee you want. Either strong, medium or mild. In addition, the grinding process preserves all the oils in the beans, which perfectly keeps the nutrients intact and makes your coffee have a great taste and excellent aroma. There’s nothing better than that. 4.1 Can I use this grinder to grind beans, without having to make any espresso? 4.2 How fast does it work? Will I be late going to work waiting for it to grind? 4.3 What is the grinder voltage? 4.4 How do I clean it? Design and burrs; the design is straightforward and uses the 40 millimeters of conical burrs. The most unique feature in this particular grinder is that the inner burr is stationary, but the upper one rotates. This is the opposite of just about any other grinder in the market. This allows you to have a low grind retention and a very high grinding rate at the same time. Low retention; the low retention ensures that you do not waste any of your precious coffee beans. It will save you money and will also retain a lot of ground coffee. 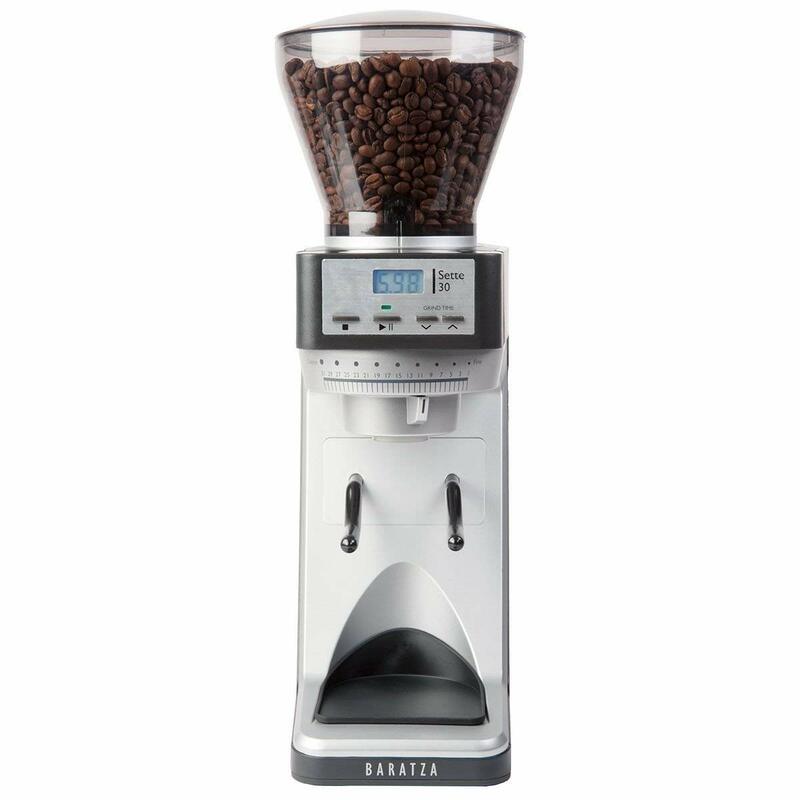 Grind settings; the Baratza Sette 30 has 30 grind settings as the name suggests, which gives you a better control of the fineness or coarseness of the grinds. You can be able to adjust the grind size and texture as you grind the beans. Hopper; the hopper has a capacity of 10oz of coffee beans. This is around 300g of coffee. It also has an innovative shutoff feature which permits a no-fuss, no-mess process and a very easy removal of the hopper while changing the coffee beans. Motor; It comes with a powerful DC motor drive that is equipped to automatically reset and thermal cut-off the switch. This is a great safety feature. Speed: It is also very fast while grinding the coffee and can be able to give you ground coffee beans in just under 5 seconds. This is because of the high- speed grinder options and the excellent conical burrs that work very fast. Affordability: It is reasonably priced compared to the other coffee grinders in the market, and this does not compromise on its quality and functionality. If anything, it works much better than any other you shall find. Easy to clean: It is very easy to clean as you can pop out the burrs without needing any help or any tools. The parts are also dishwasher safe and can be washed very fast. Design: It is a very beautiful design that is sure to enhance the décor of any kitchen, plus the design is state-of-the-art and uses only the latest technology in its operations. This coffee grinder never disappoints and will never fail you. Speed: the conical burrs are very fast, and you can be able to get freshly ground coffee beans in just 5 seconds, making your work very easy. Loud: it is loud in its operations, but this is a small price to pay for the quality of beans you shall receive. Also, we are talking about 5 seconds or so of noise. It is manageable. Can I use this grinder to grind beans, without having to make any espresso? Ans: Yes. This is possible. With over 300 setting, the options allow you to choose the texture, coarseness and look you want for your coffee. Set the timer at number four so your beans will not stick together. How fast does it work? Will I be late going to work waiting for it to grind? It is very fast and can work in under 5 seconds, giving you your desired coffee beans ground to the right texture. Making the coffee will also be very fast. You shall not be late if you decide to be grinding your coffee beans. What is the grinder voltage? It is advisable not to clean it frequently, you can be wiping it down after every use, but if you need to clean it occasionally, the conical burrs easily pop out, allowing you to clean it thoroughly as needed. It is also dishwasher safe so you need not struggle too much. Baratza is a well-known company in the making of coffee grinders, so you can never go wrong. The coffee grinding process also does not take long, and within no time, you’ll be enjoying the best cup of coffee you have ever had. You don’t have to worry about longevity as well, as it has been made with the best quality and highly durable products in the market today, plus it is a US company that is certified, which means that they produce nothing but the best.